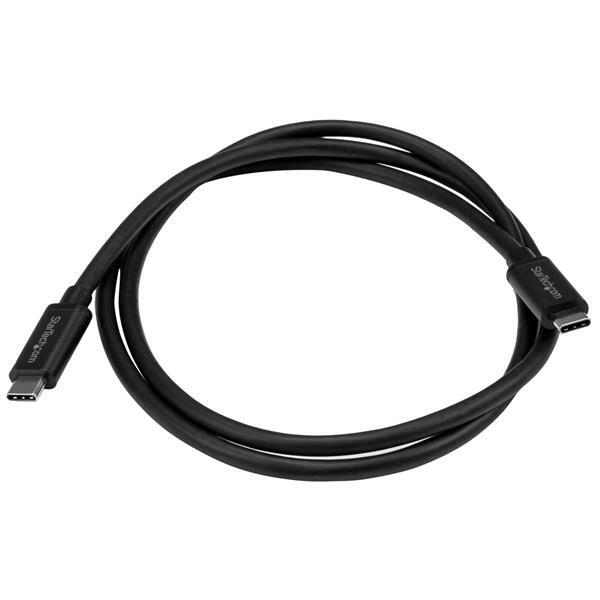 This USB-C™ to USB-C cable lets you connect a USB 3.1, USB Type-C™ device, such as a hard drive or mobile device, to the USB-C port on your computer, charger or tablet. The cable is also compatible with Thunderbolt™ 3 ports. This 1-meter cable lets you charge or sync your mobile devices with your laptop or desktop computer. Moving large files or transferring movies can be done in seconds, at twice the speed of USB 3.0 and 20x faster than USB 2.0 -- all while charging your device with 60 watts (3 amps) power delivery. You can also use the cable to charge your devices from a USB-C wall charger, car charger or power bank -- perfect for people on the move, for providing simple, tidy connections. You’ll also be able to connect your USB 3.1 peripheral devices, such as hard drive enclosures and docks, to your laptop. With a bandwidth of 10Gbps, this USB 3.1 Gen 2 cable lets you sync your USB Type-C devices in no time at all. You can spend less time transferring and backing up your data and more time focusing on your projects and presentations. 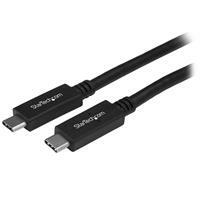 The cable supports full 4K 60Hz video and DisplayPort 1.2 and is compatible with existing DisplayPort displays. It's ideal for connecting your docking station or laptop to a monitor with astonishing resolution, contrast, and color depth for amazing detail. 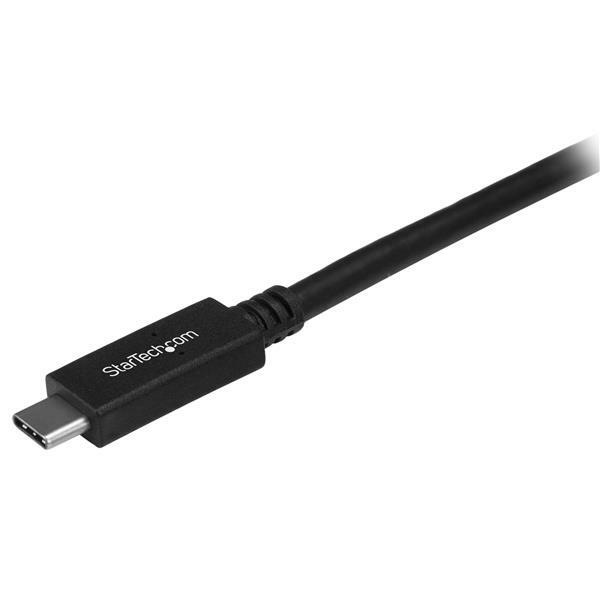 This USB-C cable has been certified with USB-IF (USB Implementers Forum) in order to meet all USB 3.1 specifications. This includes all environmental, electrical and mechanical standards set by USB compliance. This ensures a high-quality, reliable cable for all your USB-C devices. The USB31CC1M is backed by StarTech.com’s 2-year warranty for guaranteed reliability.